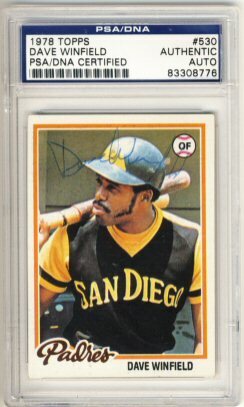 I received another return for my 1978 Topps project today. 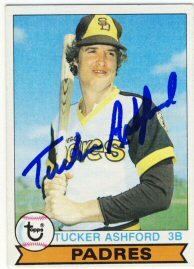 Tucker Ashford signed his 1978 and 1979 Topps. I was gone for the weekend and came home to find two returns waiting for me. 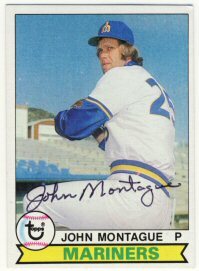 John Montague signed his 1978 and 1979 Topps. 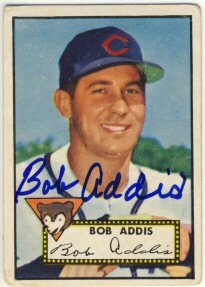 And Bob Addis signed his 1952 Topps. I have about eight requests outstanding from the last few weeks. They are all for cards from the 1970's. I don't have any more older cards to send out so I'll have to do some shopping. 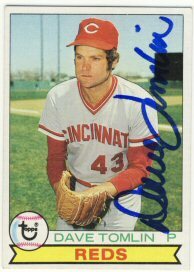 Syd O'Brien signed his 1972 Topps for my collection. I sent this back in December so I'm not counting this towards my 2016 goals. There was one return waiting in my mailbox today. 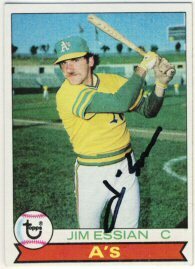 Jim Essian was kind enough to sign a 1978, 1979 and 1985 Topps. I was really happy to see my 1963 Topps come back from Whitey Ford. I sent him the same card over a year ago and it never came back. He didn't cash the check I sent with the request, so maybe the whole letter was lost in the mail. Maybe I'll get another one some time in the future! 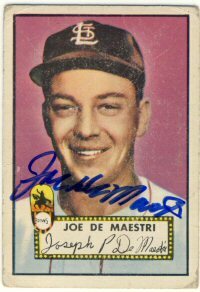 I also got a nice return from Joe DeMaestri, who signed his 1952 Topps for me. 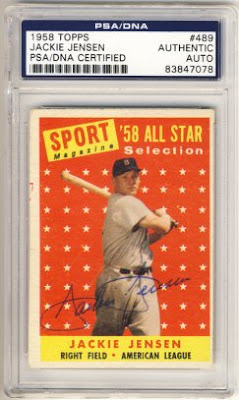 I think I have one more 1952 Topps out in the mail. There are a few more I'd like to send out, but the higher number cards are really expensive, even in poor condition. 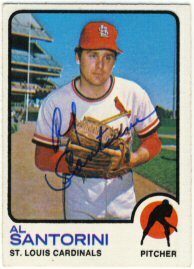 I continue to get back some of the 1970's cards I've been sending out, focusing on the 1978 Topps set. 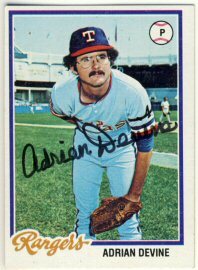 Adrian Devine signed his 1978 and 1979 Topps. I completed my 1961 (?) 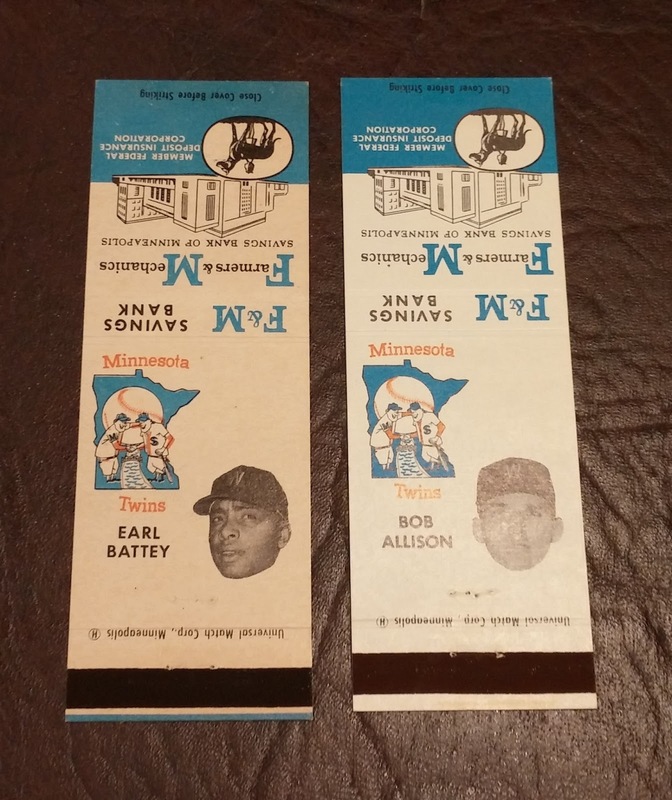 Twins matchbook set by adding Earl Battey and Bob Allison. There appear to be 10 in this set. I bought the other eight a while ago and posted about them HERE. I haven't checked the mailbox yet today. It's below 0 and I only want to make one trip so I'll wait until I'm sure the mail has been delivered. 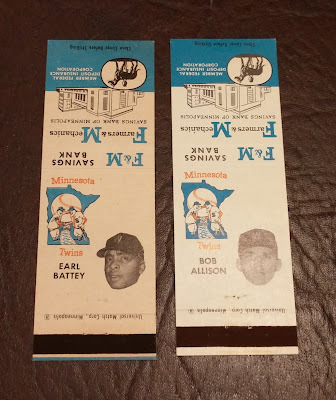 Thanks to another Ebay gift card I received for Christmas, I added another 1958 Topps to my set. 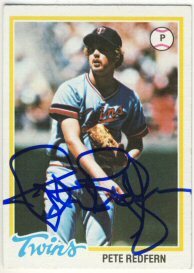 I bought Jackie Jensen's All Star card from the set. I still need his "regular" card however. This makes 2 out of the 3 cards I set as a goal to add to this set in 2016, so I'm in great shape so far. However, as I mentioned before, he cards I have left are hard expensive and/or hard to come by. I was a little surprised I only received two returns today. I sent out eight requests 10 days ago and 10 days seems to be the most common turnaround time. Only one of today's returns was from that batch. The other was sent out on December 28th. I'm not complaining, of course. Maybe tomorrow and Saturday will bring more returns. I always love getting back a really old card. 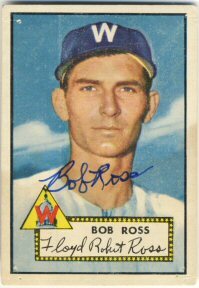 Bob Ross signed his 1952 Topps and wrote me a nice note answering a question in my letter. 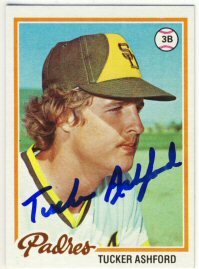 Ed Halicki signed his 1978 Topps for my set. When sending out this request, I noticed on sportscollectors.net that he only signs one card, even if you send more. This is great information to have, so I could focus on the 1978 set I'm working on and not get back a different card that I might otherwise have decided to include along with my request. If you don't have a subscription to that site, what are you waiting for? It's only $15 a year and easily pays for itself by avoiding sending out requests that are unlikely to be returned. 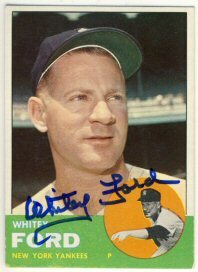 I got an early start on my goal of adding three signed cards to my 1958 Topps set. My niece gave me this signed card of Willy Miranda for Christmas. I have been looking for more to buy on Ebay but the cheapest ones that I need (that are authenticated) are all over $50. I'll keep looking. I believe the only living player I need is Sandy Koufax. 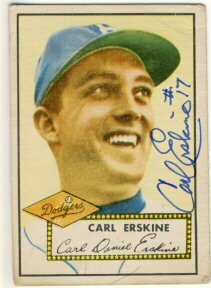 Carl Erskine - 1952 Topps and a Ghost-Signer for Joe Coleman? 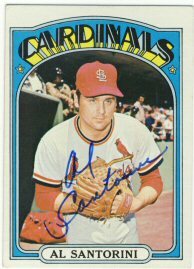 I really love getting the old cards signed. By old, I mean pre-1960. Unfortunately, many of those players are no longer with us. There are still a few very good signers though. One of those is Carl Erskine, who signed his 1952 Topps for me. 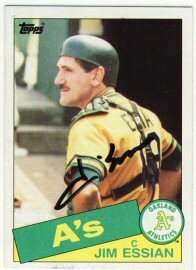 I also received a few cards back from Joe Coleman. Unfortunately, I don't think they were signed by him. I noticed a discussion on sportscollectors.net that someone may be signing for him, and the signatures I just got back don't match those I received back in 2003 when I last sent to him. Too bad. It was nice to find multiple returns in the mailbox again. 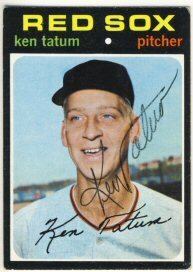 Ken Tatum signed his 1971, 1972 and 1973 Topps. 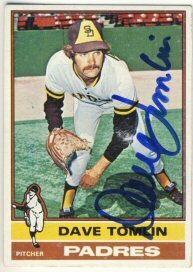 Dave Tomlin signed his 1976, 1978 and 1979 Topps. 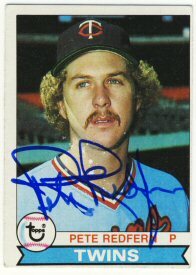 And former-Twin Pete Redfern signed his 1978 and 1979 Topps. 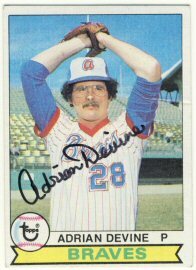 Unfortunately, Mr. Redfern was severely injured in a diving accident in 1983 which left him paralyzed. It is very generous of him to take the time to sign for his fans. I'm not going to count any of these against my 2016 collecting goals since I sent them in 2015. I was thinking about sending in a 1978 Topps to an upcoming Dave Winfield signing but then I noticed this one on Ebay for $11 less than the signing fee. I already have one, but it's not authenticated, so I feel better about this one. I sent out nine requests this week. I'm trying to get a jump on my 2016 goals. 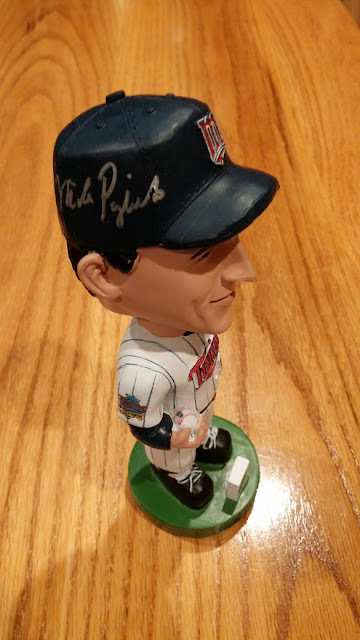 Today I received my bobblehead back from cardboardpromotions.com, who had Mike Pagliarulo as an autograph guest on December 27th. They did a nice job with the signing, I'll be looking for more signings from them in the future. This makes 16 out of the 26 bobbleheads signed from this set. I'm not counting this towards my 2016 collecting goals. I counted it towards my 2015 goals since the signing actually took place in 2015. 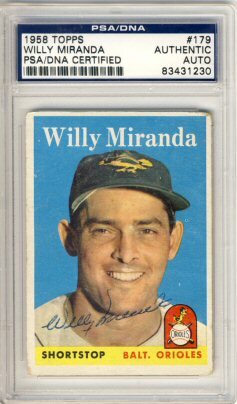 Goal - Add 3 cards to my signed 1958 Topps set. These will most likely have to be purchases since I think I've pretty well exhausted my ttm options. 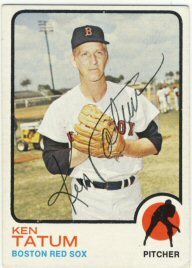 Goal - Add 10 cards to my 1963 Topps set. This should be reasonable, and I think I can get most of them ttm, but they will require fees. 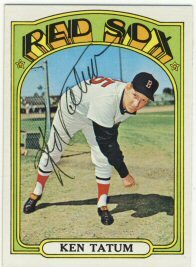 Goal - Add 5 cards to my 1965 Topps set. Probably purchases for this one too, but there might be a few multi-player rookie cards I haven't sent out yet that I could try. 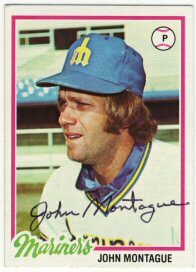 Goal - Add 10 cards to my 1972 Topps set. I think I can get them ttm, but I need ot buy some rather expensive high number cards to get this done. 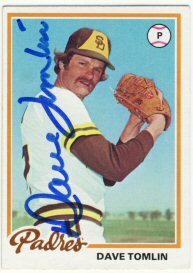 Goal - Add 75 cards to my 1978 Topps set. As long as I stay motivated on sending out ttm requests, this should be a reasonable goal. Goal - Send out at least 150 ttm requests. Goal - Get 2 bobbleheads signed. Since I'm not going to TwinsFest this year, this one might be a challenge. I really only have a handful left that need to be signed. Goal - Get 3 magazines signed ttm. Should be pretty easy, but will probably have to be magazines from the 60's or 70's, rather than the ones from the 50's I've sent in the past. Anyone else have specific collecting goals for the year? I didn't have to wait long for my first return of 2016. 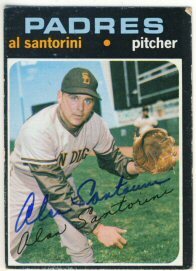 Al Santorini was kind enough to sign my 1971, 1972 and 1973 Topps. I'm still contemplating my goals for 2016 but will decide on them before the end of the day tomorrow. Goal - Send out 150 through the mail requests - Result - I only sent out 113 this year.I had 2 failures and I'm still waiting on 18 to come back, for a success rate of 82%. I still expect to get several of the outstanding requests back over the next few weeks. Goal - Add 50 cards to my 1963 set. Result - I came close. I added 44. Goal - Add 2 more cards to my 1958 set. Result - I didn't add any new 1958 Topps this year! Goal - Add 5 more cards to my 1965 set. Result - I only added 2. 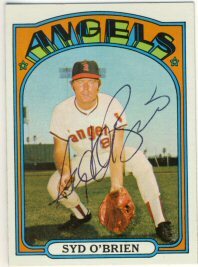 Goal - Add 10 more cards to my 1972 Topps set. Result - I exceeded this goal by adding 17 cards to the set. Goal - Add 2 more signed bobbleheads to my collection. Result - I'm going to count this as a success. I sent in a Jim Kaat bobblehead to a Tom Orr signing back in July. 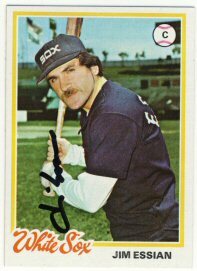 I also had a Mike Pagilarulo signed via an SCN contact last weekend, which I should receive back next week. Goal - Add 5 more signed magazines to my collection. 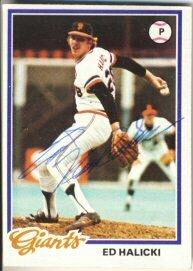 Result - I bought a Warren Spahn signed magazine early in the year, but I think that was about it. I didn't send out any through the mail. I didn't really do that well this year. I need to think a bit about my 2016 goals before I post them, but should do that later today or by the end of the weekend at the latest.